Determined to further expand into refining and petrochemicals, Saudi Arabia plans to invest up to $100 billion in India – Nigeria’s biggest crude market. This comes as major oil producers like Saudi Aramco are targeting Asia (where fuel demand is growing) as a stable outlet for their oil, and splashing out on improvements in refining capacity there. Crown Prince, Mohammed bin Salman disclosed the figure last week Wednesday during his maiden official visit to India, which included wide-ranging talks with Prime Minister Narendra Modi. While discussions focused on curbing terrorism, the two leaders also deliberated on ways to form stronger economic ties between their countries. The crown prince’s commitment reflects “the confidence of [the kingdom] in the vibrancy of the Indian economy and the tremendous opportunities available in India for investment,” T.S. Tirumurti, secretary for economic relations in India’s Ministry of External Affairs, said. No time frame was set for the Saudi investment, neither was a detailed split of the funding available, Tirumurti said. But he confirmed the total includes Saudi’s investment into a proposed $44 billion refinery and petrochemical complex in India. The investment covers projects in areas such as energy, refining, petrochemicals, infrastructure, agriculture and manufacturing. Saudi expects the opportunities targeted in the various areas to exceed $100 billion dollars in the coming two years, according to the Crown Prince Salman. The refining project involves Indian companies including Reliance Industries, operator of the world’s biggest refining complex. “We are looking at additional investment in India so we are in discussions with other companies as well, including Reliance,” Aramco CEO Amin Nasser revealed. Considering the fact that India is the world’s third-biggest crude oil consumer with a demand of 4.7 million bpd, the country is an investment priority for Saudi Aramco. Nasser also noted that Mumbai takes almost 800,000 barrels a day from Aramco, and by 2040 India’s total consumption will be around 8.2 million barrels per day. Last year, the kingdom’s Saudi Arabian Oil along with Abu Dhabi National Oil of the United Arab Emirates agreed to take 50 percent equity in the joint project with state-run Indian refiners. Also, the agreement involved a plan to build a 1.2 million barrel per day (bpd) refinery and petrochemical project in the country. India is Nigeria’s largest importer of crude oil, overtaking the United States last year. Recent data from the National Bureau of Statistics (NBS) also show that Nigeria exported crude worth N719.2 billion and N37.7 billion worth of natural gas to India in Q3 2018. By making India a regional hub for oil supply, Saudi Arabia’s planned investments would lock down the Mumbai market for its crude export. 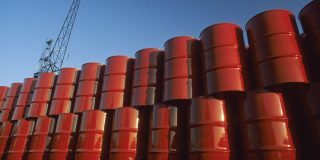 This would most likely result in a decline in India’s demand for Nigeria’s crude. It is also bad news for the African country, whose economy is largely oil-dependent and further validates the need for economic diversification.